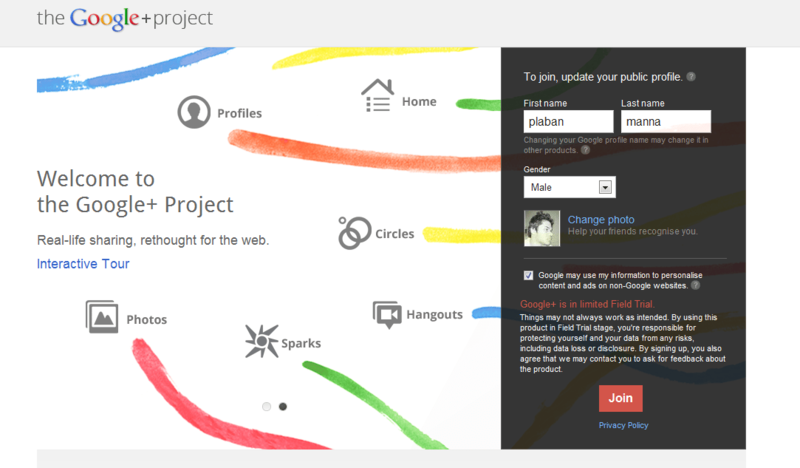 Google’s latest social networking site Google+ project is now live. Google + project combines all Google services together. Google’s track record in creating social network is not that good. Google’s social networking website ‘Orkut’ is not that popular as it was expected. Google’s last effort to make all in one social experience called ‘Google Wave’ failed badly before public launch. This time Google back with bang. They are more prepared to challenge world’s no 1 social networking website Facebook. Currently Google+ is invitation based only, you can only join if you are invited by Google+ user. 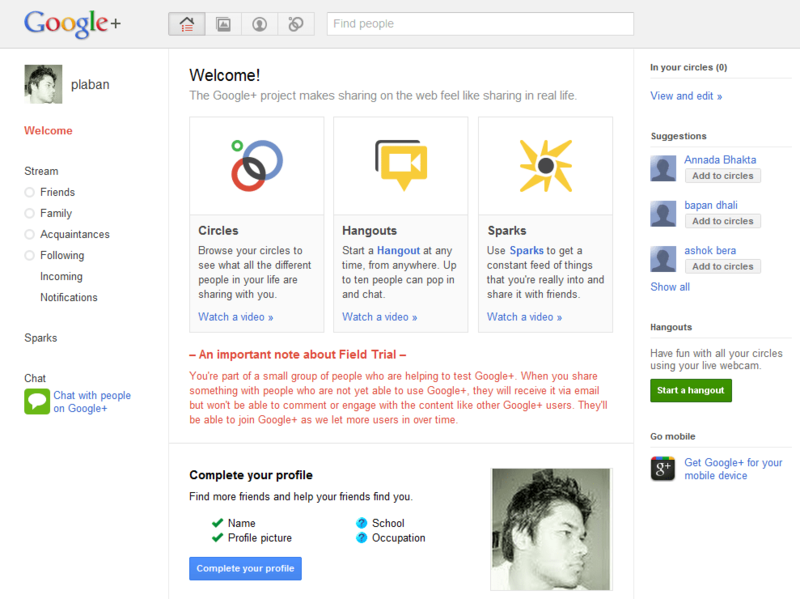 The first time when I entered to my Google+ profile it looks very similar to Facebook. 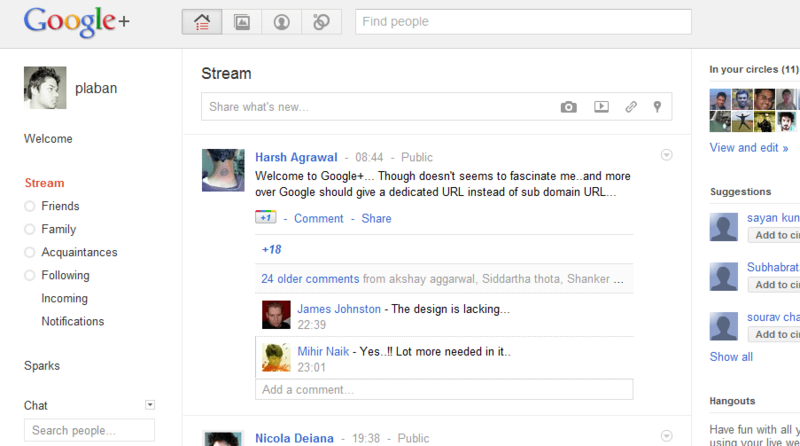 Google+ interface looks very nice and light. It takes some time to be familiar with the interface. Navigating through menu is fast and very well designed. You will find most of the features of Facebook in Google+. In main profile page there is a ‘Stream’ which is very similar to Facebook News Feed. 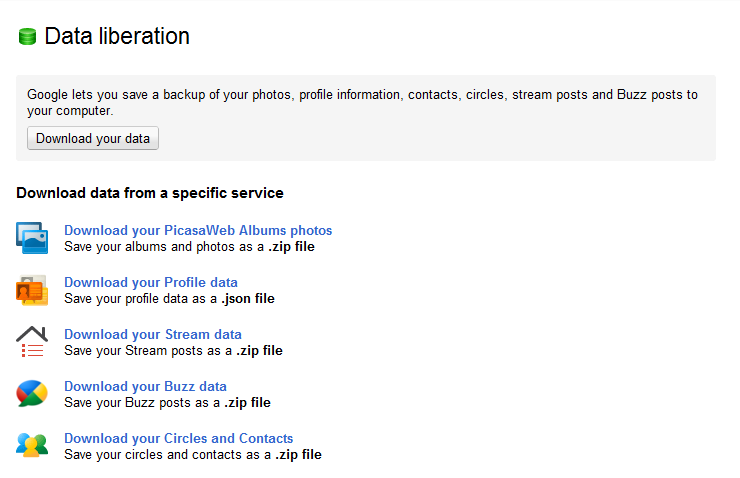 Using Google+ ‘Stream’ you can share status message,photos,videos and website link. Unlike Facebook here you can choose a group of friends (circle in this case) . In Google+ friends can be organized in ‘Circle’. By default there are 4 ‘Circles’ – Friends,Family,Acquaintances,Following . New ‘Circle’ can be easily created . In Facebook chat we can chat with friends. Google+ integrates Google Talk with it. So all your Google Talk friends are there. One feature which Facebook does not have is the ability to do video chatting with friends. Google+ brings group video chat functionality. This is called ‘Hangout’ . You just need to select the circle with which you want to start video chat. 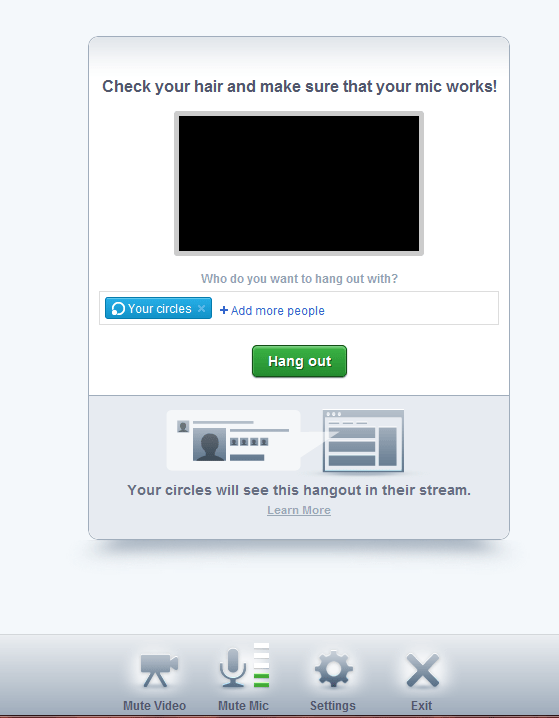 This is very good feature if you do lot’s of video chatting with friends. Facebook’s ‘Like’ button has become very popular. 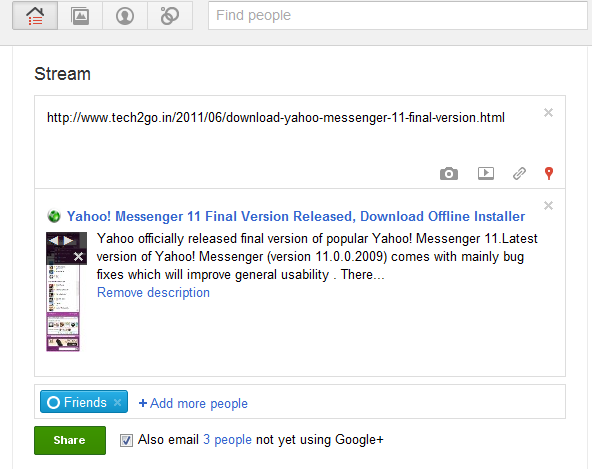 In Google+ there is similar feature called ‘+1’. Google +1 was introduced just few weeks ago. Just like Facebook ‘Like’ here users can ‘+1’ almost anything like status messages,photos,videos,links etc. Google+ has potential to become popular social networking site. Google+ is in very initial stage and more changes will come in future. Time will tell if it can beat Facebook in popularity. There are many new features in Google+ , covering everything in just one post is not possible. Have you tested Google+ project? What do you think about it? Please share your experience with us.